A meteor from the Leonid meteor shower streaks across the sky. Maybe the wish you made on a shooting star during the Leonid meteor shower last week didn't come true. You could get a second chance Tuesday as forecasts expect to see a secondary peak in this year's shower. NASA is predicting as many as five to 15 meteors per hour, sometime between 12:30 a.m. to 3 a.m. ET. The first peak happened early Saturday. The Leonids occur in mid-November each year as the Earth passes through debris from the comet Tempel-Tuttle. "For best meteor viewing, dress warmly and go to a location away from city lights. You want clear, dark skies. Lie flat on your back and look straight up, allowing your eyes 30 to 45 minutes to adjust to the dark. No special viewing equipment needed - just your eyes," NASA astronomer Bill Cooke said on the agency's website. One thing stargazers have working to their advantage, assuming clouds don't muddle the festivities, is that the moon will be a waxing crescent setting before midnight, meaning its light is less likely to obscure the show. Thankfully, there's no chance the Earth will crash into the comet Tempel-Tuttle this year. It was last in the solar system's inner orbit and closest to our planet in early 1998, NASA explains, and it won't be back for another 33 years. 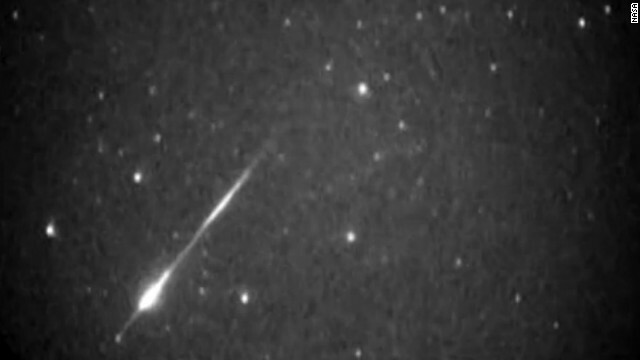 But it left "a stream of dusty debris," known as Leonid meteors, when it moved on through. Some of these remnants have drifted into the Earth's orbital path - and when our planet passes by, the meteors seem to be falling from the area of the constellation Leo, the lion. the moon will not be a waxing crescent next Tuesday. it will be full.